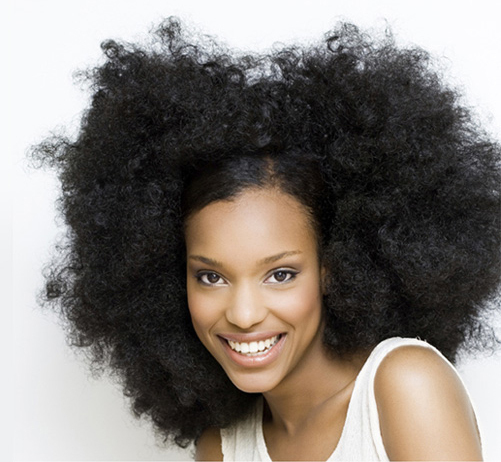 The relationship between shampoo that contains sulfates and natural hair is passive at best and sometimes detrimental. Regardless of how many different products you use on your hair, the plateau you’re facing in attaining better results can be broken through by a small change in the ingredient list on the back of the bottle. In addition, you can rely on sulfate-free shampoos being color-safe and preserving your hair’s natural oils. This being said, these special shampoos are mainly marketed towards those with dry, coarse, or colored hair and to those with sensitive skin. Try a sulfate-free shampoo today to see your natural hair revived and refreshed with gorgeous and healthy shine. Here are our recommendations for the best sulfate free shampoos and conditioners in the market. The EverCreme Sulfate-Free Moisture System Shampoo by L’Oreal is a fan-favorite among sulfate-free shampoo users because of its top-quality formula combined with its affordable price. Due to the reasons for its popularity, this product is considered a great bargain buy for anyone who wants a decent shot at using sulfate-free products in their hair care routine without taking out a loan. The shampoo advertises its “triple-action hydration for dry to very dry hair.” It also contains nutrients that are meant to strengthen and grow hair faster. 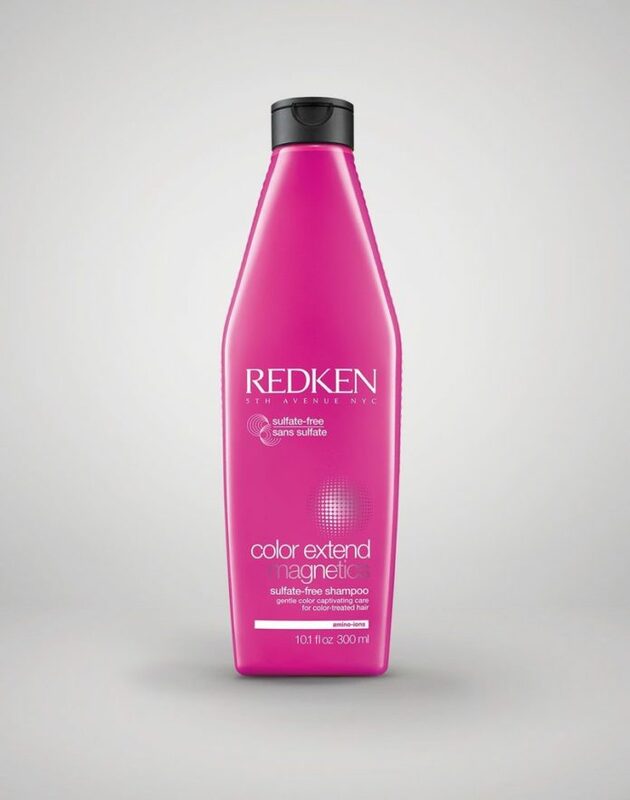 The Color Extend Magnetics Sulfate-Free Shampoo by Redken is a great example of a no-compromise product—an option that works incredibly well, comes in a large bottle, is designed for colored hair, but also has the price tag that accompanies those features. Created with Interlock Protein Network (IPN) technology, Redken’s shampoo aids in restoring hair shaft protection and conditioning the hair for a soft feel and glossy shine. The product is formulated with a high concentration of amino-ions to gently cleanse and lock in color. 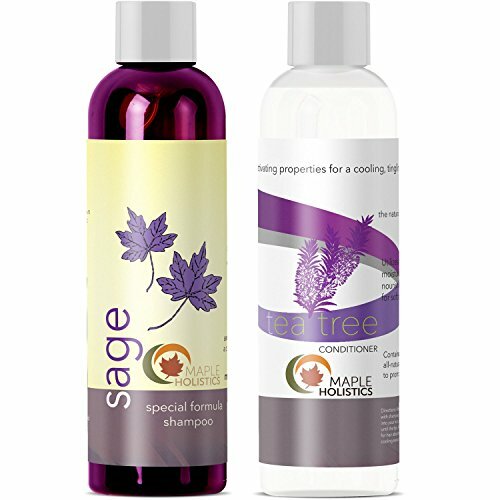 Tea Tree Oil Shampoo and Conditioner by Maple Holistics is a bleeding-edge two-step combo of sulfate-free products that leave your hair feeling comfortable, refreshed, and soothed. This line contains a cornucopia of essential oils and its star ingredient tea tree oil has antiseptic and antifungal properties which suit it to fight against dandruff. It eliminates dead skin cells and has lavender which soothes itchy scalp. The tea tree oil is sourced ethically from Australia and produced in a factory which surpasses cGMP standards. This is meant for light to moderate dandruff, though the company does also sell heavy-duty dandruff control products here. 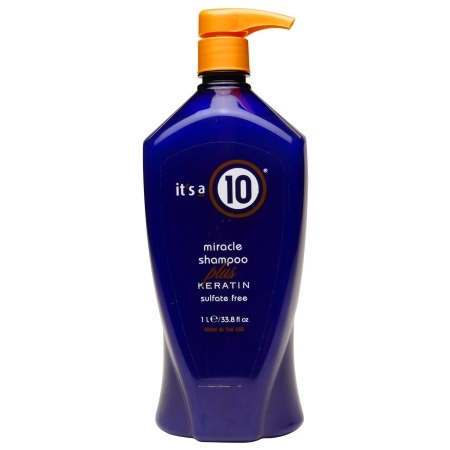 Miracle Shampoo Plus Keratin by It’s A 10 Haircare is a product that users discover and then refuse to use anything else afterwards, living up to its name. This shampoo is keratin protein-infused to protect hair color, prevent sun damage, or thermal hair care damage, making it a feasible option for anyone searching for a product that cleanses their hair while heightening their protection against environmental stressors. It is approved for natural hair and relaxes and smoothes out frizz and split ends. Black Vanilla Moisture & Shine Shampoo by Carols Daughter is a savior for dry, brittle hair. With powerful ingredients like aloe, rose, and sweet clover at work, your hair will become more manageable and contained with every wash. This shampoo focuses on balancing out the moisture in your hair to the perfect amount so that everything else will “fall into place.” Don’t fear, it can do all of this without even adding weight to your hair. Conversely, some users find it too heavy and say it makes their hair too oily. To be sure, read some of the ample reviews to see how it works on your hair type. 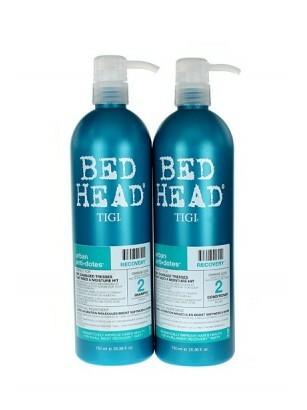 Urban Antidote Recovery Shampoo & Conditioner by Bed Head TIGI is a good combo option for anyone looking to rid themselves of dry hair, split ends, or color fading. This product helps to defrizz and settle your hair without losing volume thanks to its anti-static and pro-shine qualities. It smoothes the cuticle and strengthens your hair for less breakage. It helps your hair become healthy, and as we all well know, healthy hair is gorgeous hair. 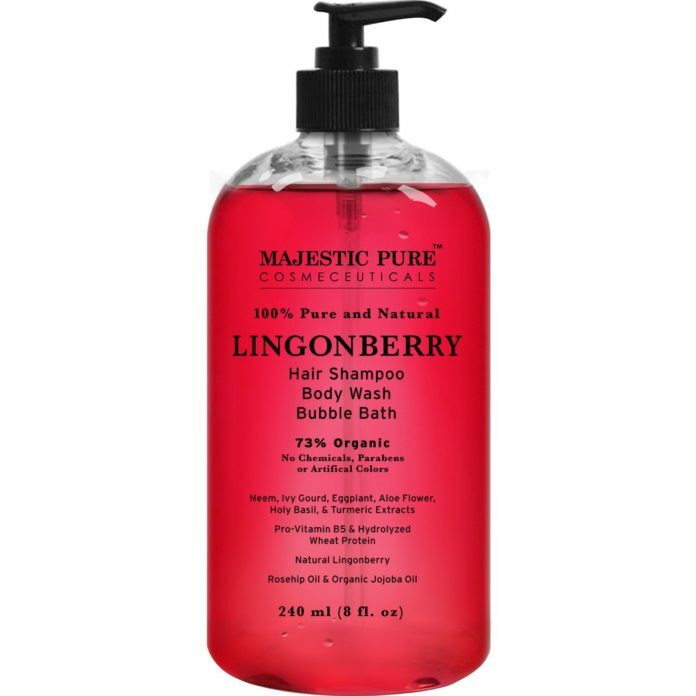 This Lingonberry Body Wash & Vitamin Shampoo by Majestic Pure is 73% organic, containing strong ingredients such as neem, which has antibacterial and antifungal properties to prevent hair breakage, Vitamin B-5, which increases the moisture in hair and the rate of epithelialization, improving skin regeneration, and most notably, lingonberry, the “Scandinavian super fruit” that is known to prevent skin aging and keep the skin looking young and supple. It is a 3-in-1 multi-purpose product that can serve well for anyone who hopes to simplify their hair care routine or is going on a trip and doesn’t have room in their bag for a lot of products. 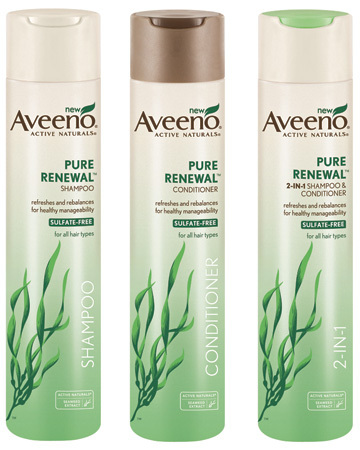 A more mainstream hair care company, Aveeno is praised for having simple and organic products that are effective and reasonably-priced. This rings true for the Aveeno Pure Renewal Gentle Shampoo as well. It aims to make your hair easy to deal with and balanced regardless of your hair type. To accomplish this, they’ve employed the help of seaweed extract which has properties which make it effective in restoring hair to its natural moisture. 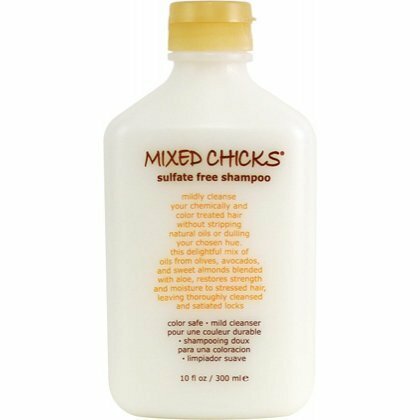 The Sulfate-Free Shampoo by Mixed Chicks assures that it will “mildly cleanse your chemically and color-treated hair without stripping natural oils or dulling your chosen hue.” Comprised of organic oils such as olive, avocado, and sweet almond along with aloe serve to rehydrate hair and revive its lost strength. In addition, it is acclaimed for its profound ability to remove buildup. 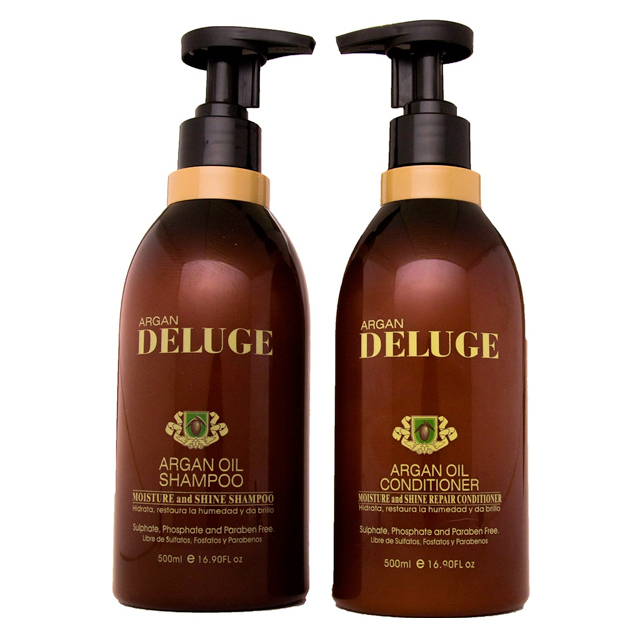 The Moroccan Argan Oil Shampoo & Conditioner combo by DELUGE is one of the larger options on our list and may be a smart choice for someone who knows that they love sulfate-free products, will need to use a lot of product each use, or doesn’t want to have to rebuy often. It contains the acclaimed Moroccan Argan Oil which can moisturize even the driest hair. Other mentionable ingredients include Keratin, Omega-3, and a number of other unsaturated fatty acids. 11What Is Sulfate Free Shampoo? To understand what sulfate-free shampoo is, you first have to know about sulfates and their function. Sulfates are chemicals put into many hair products, mainly shampoo, to clean and remove dirt and oil from your hair. They are also mainly responsible for the lathering effect you get while washing your hair. What’s a little bit hard to understand about the whole sulfate-free hair care movement is that sulfates are completely safe. 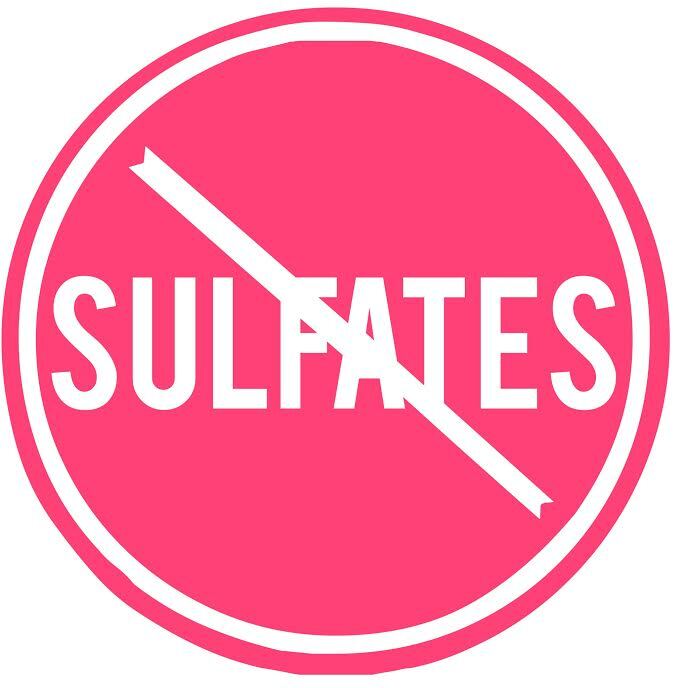 The problem isn’t that sulfates aren’t being effective cleansers, but that they actually may be doing too good of a job. They are so good at removing dirt and oil that many people are left with dry and brittle hair as a result. Because they can be considered by some to be a bit too harsh, sulfate shampoos are being surpassed by the trendier school of thought in sulfate-free concoctions. Sulfate-free shampoos are milder, cleaning your hair without draining it of its moisture. 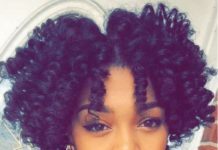 This is especially helpful for natural hair, as it typically tends to lean towards the dry side to begin with. Main differences you should expect when deleting sulfates from your hair products are the absence of lathering in your shampoo and the efficiency of one rinse. 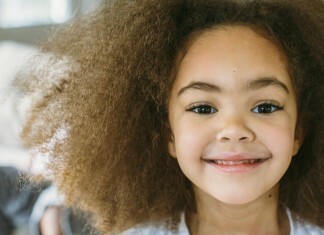 Because sulfate-free products are gentler and don’t have the benefit of sulfate’s killer instinct to remove dirt and oil, many users find that they need to wash their hair twice instead of once. Reduces Chance of Irritation: If you are prone to scalp irritation, this may be as simple as the ingredients in your shampoo. Trying a sulfate-free shampoo may subside the irritation and reduce flaking or dandruff on your scalp. Increases Moisture Retention: Over a prolonged period of time, sulfate shampoos may restrict or completely eliminate your hair’s ability to absorb moisture. 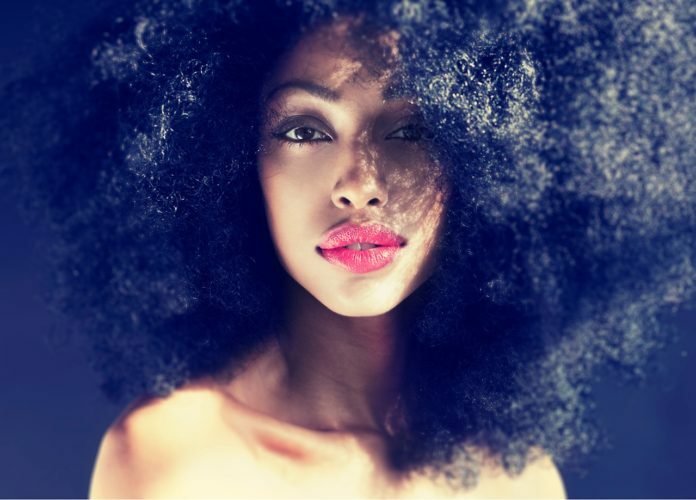 Natural hair typically has greater trouble staying moisturized, to begin with, as the hair’s sebum has difficulty traveling down to the tips of the strands due to the tight kinks. Using a sulfate-free shampoo will give your hair a little bit more help to stay the right texture and reduce breakage and split ends. Retains Hair’s Natural Oils: Sulfates are designed to strip away dirt and oils from your hair. 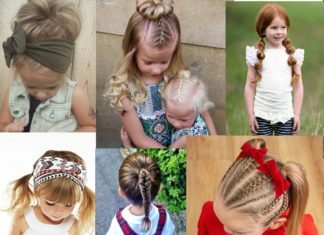 The problem is that it has no distinction between excess and necessary oil and may take away much more than it should, leaving you with dry and brittle hair, making it even more vulnerable to damage. Sulfate free shampoo, however, keeps and retains the hair’s natural oils. Better For Color-Treated Hair: Sulfates also steal dyed color out of your hair. Because sulfate-free shampoo is much gentler, it won’t alter the temporary or natural properties of your hair. 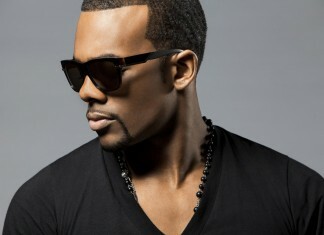 This way your color pigmentation within your hair will be able to last and retain its intended color for much longer. Prevents Scalp From Absorbing Harmful Chemicals: There is speculation that sulfates may cause a carcinogen 1,4-dioxane to be created when mixed with other ingredients during the process of making shampoo. It’s difficult to identify which cosmetic products contain it, since the FDA does not require it to be reported on the ingredients list, but there is a reason to believe that it coincides with the use of sulfates in sudding products. Promotes Volume Within Hair: Sulfates may prevent your hair from staying strong, resilient, and healthy over time. Regardless of the thickness of your hair, the hair that you do have will be taken care of, leaving you with a smaller chance of going through hair thinning or breakage. Say Good-Bye To Buildup: If you wash your hair frequently, you’ve definitely had your own experience with buildup. There’s a gross residue by your roots and your hair feels heavier and flat. A good way to rid yourself of this problem is to try using sulfate-free shampoo tailored towards erasing build-up and keeping it from coming back. 1. Wet your hair thoroughly before applying the product. While this may seem a bit obvious, it is crucial for sulfate-free products because it will be difficult to spread the product throughout your hair without it first being wet. 2. Most people are used to using a small amount of product in sulfate shampoos and having the amount expand when it lathers. Sulfate-free shampoo does not lather, so many people overestimate how much shampoo they need. Use what you think is less than what you need. This way you won’t waste product and have to spend way more money than you really need to. 3. In case you can’t get enough lather to wash your hair, try adding more water instead of product. Often times, the problem is that it gets stuck because your hair isn’t wet enough for it to transfer. 4. To truly get your hair clean, you should shampoo twice. Because sulfate-free shampoos are gentler, they collect less of the oil and dirt from your hair. Doing a quick double-check will ensure that your hair won’t feel grimy or heavy after you wash it. To further make sure your hair won’t have any residue, be sure to wash it out really well. 5. Follow up with your standard conditioner how you normally would. Hopefully, you’ll begin to see results from your shampoo change within a couple days of use! 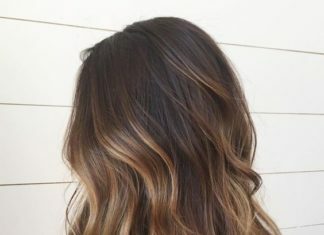 If it seems as though sulfate-free shampoo is something that you’re interested in trying out in your hair care routine, there are a couple of things that you should look at to find the best product for you. First, what purpose do you want the shampoo to serve? Throughout the course of this article, we’ve discussed sulfate-free products for dandruff control, keratin treatment, and moisturization. Understanding which purpose you’d like your shampoo to serve and fundamental questions like how often you’ll use it will be super helpful in finding the perfect product for you. As always, know your hair type so you can find a product that is designed just for you. It’s beneficial to read product reviews on Amazon to see how others with your same hair type have fared in their experience with the shampoo. Make sure it has other selling points besides being sulfate-free, such as antioxidants or nutrients. If the only big thing about it is that it’s sulfate-free, you can probably do better. Overly-expensive products. Chances are there’s a cheaper alternative that is the same quality. Brands that sell small bottles. Aim to pay more and restock less than to pay less the first time but end up paying more with each subsequent purchase. How many products do you want to switch to sulfate-free in your regimen? Which problem do you want your sulfate-free shampoo to help you with? Are you unhappy with your current sulfate shampoo? 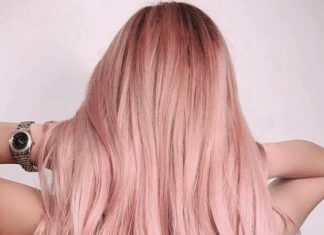 This trend is definitely something worth looking into, though not really a necessary transition unless you’re experiencing distress with your current shampoo. Sulfate-free shampoos are exceptionally adept at removing buildup and dandruff, along with being safe for color-treated hair. It’s gentler than sulfate shampoo and can bring much-needed relief to dry or itchy scalp. 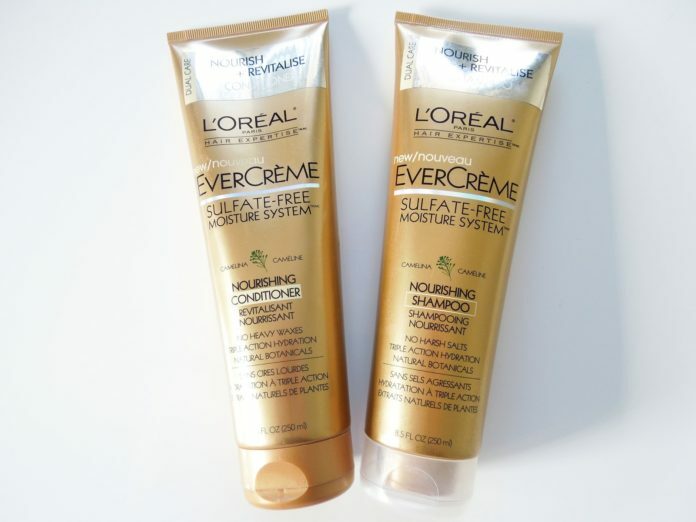 A product that may be a smart buy for anyone hunting for a bargain is the EverCreme Sulfate-Free Moisture System Shampoo which contains Omegas 3 and 6 along with natural botanicals. A great no-nonsense, no-compromise sulfate-free shampoo would be something like the Color Extend Magnetics Sulfate-Free Shampoo by Redken. This formula makes use of proteins and amino acids to keep your colors looking vivid for much longer. Miracle Shampoo Plus Keratin by It’s A 10 Haircare and Tea Tree Oil Shampoo and Conditioner by Maple Holistics have made names for themselves by focusing on keratin and dandruff control respectively.